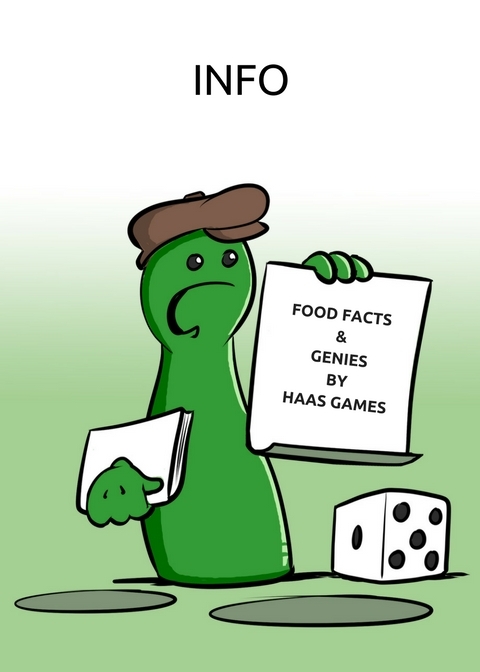 today we show you the games Food Facts and Genies of Haas Games. Haas Games: Food Facts can be played by two to six players from ten years on. Which nutrients do we consume daily in our food? Food Facts offers a playful and entertaining introduction into this topic, and also sparks an interest among people who may normally not care about the subject. In the game the players have to guess and compare nutritional values of different kinds of food. For example the following questions have to be answered: Do hazelnuts or chocolate have a higher fat content? Are there more carbohydrates in rice or potatoes? Does a trout or a pork tenderloin contain more protein? Are cherries or ketchup more sugary? Is there a higher amount of fiber in peas or bananas? Do almonds or honey contain more calories? Is the water content higher in mushrooms or apples? The multilingual sort game is designed for two to six players aged 10 and up, with the playing time of about 15 minutes. JOrder Haas Games: Food Facts at Spiel direkt eG now. Haas Games: Genies is a bet game for two to five persons. Order Haas Games: Genies at Spiel direkt eG now.